The must have kids tablet has just got better with the release of the LeapPad 2 Explorer. 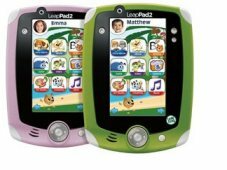 The LeapPad 2 now has a faster processor, 4GB of memory which allows your child to store more of their personal creations (double the memory of the first Explorer) and a longer battery life. Front and back cameras now allow for fun photo taking and video recording in conjunction with the built in microphone which is all in the same durable, child-friendly design that ensured sell-out performance last Christmas. A library of over 225 downloadable apps and cartridges are available including book apps, creativity apps, learning apps, videos, music and games. Downloadable apps are priced from £3.50 and game cartridges at £19.99. All previous LeapPad games cartridges are also fully compatible. Cartoon Director - which allows your child to create, direct and narate their own animated movies. The Leappad 2 now has built in intelligence which allows it to automatically adjust the learning to suit each child by asking more challenging questions as a childs skills develop. Progress is saved so the fun learning moves forward together with your child. Parents can track progress and specific details online of their childs learning progress and share artwork and achievements with friends and family. Children have so much fun with the tablet they will not even realise they are learning! Requires 4 x AA batteries (not included). Optional battery recharger pack is also available. For children aged 3 to 9 years. 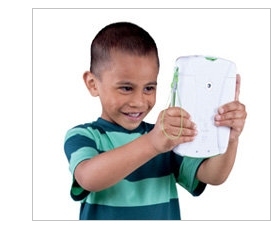 We constantly check for LeapPad 2 stock, so you don't have to. 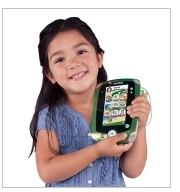 Receive email alerts when LeapPad 2 online stock is found.